Suitable for use in Class 150 – 2500 service, Kammprofile gaskets by Goodrich Gasket Pvt Ltd offers a safe and effective sealing under most severe conditions in both standard pipe and equipment flanges. Its excellent compressibility and recovery characteristics providing seal integrity under high pressure high temperature applications has made it a replacement for jacketed gaskets as heat exchanger gaskets. Kammprofile gaskets have a solid grooved metal core with soft conformable facing materials bonded on both sealing surface faces. The soft conformable facings with low initial stress assist on gasket seating and facing material gets trapped within the grooves minimizing flow or extrusion. The precision machined concentric grooves enrich sealing performance by inducing high stress concentrations across the peaks of the grooves on seating of the gasket and also makes it consistent and repeatable. These qualities make it a robust, blowout resistant gasket not requiring a compression stop for over – compression cases. As gasket manufacturers Goodrich Gasket offers Kammprofile gaskets with two types of core profiles, namely DIN and Shallow profiles. Facing and metal core materials are decided based on the application and design needs. Stainless Steel Types 316L, 304, 309, 310, 317L, 321, 347, and 430. Inconel 600, 625, X -750. Monel, CS, Aluminum, Copper, Brass, Titanium, Nickel 200, Alloy 20, Duplex etc. 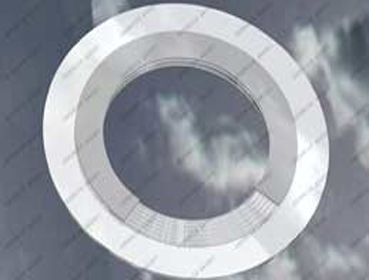 Style G - PN Kammprofile gaskets are used in confined spaces and include male and female, tongue and groove and recessed flange arrangements. 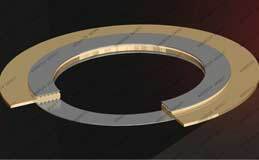 Style G - ZG is an addition of an integral outer locating ring for exact gasket positioning within the mating flange bolt circle. These are used on standard raised and flat face flange assemblies. 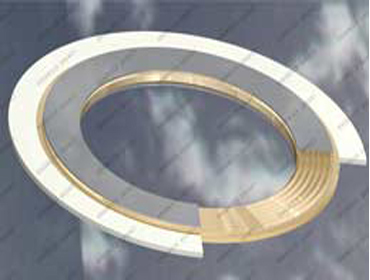 Style G - ZA is manufactured by replacing the outer locating ring in Style G - ZG with a loose fitting independent ring. It accounts for flange differential radial thermal expansion. These rings may be spot welded too.